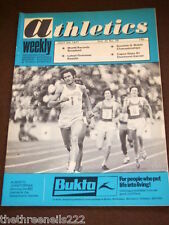 Athletics Weekly 30 May 1981. It will be sent out in a card backed envelope. ATHLETICS WEEKLY. Vol.19 No.15. April 10th 1965. Leading Australian Performers. 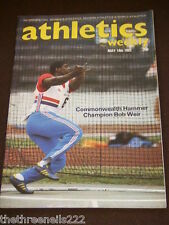 ATHLETICS WEEKLY Magazine. September 20th 1986 IAAF Grand Prix. More Athletics Magazines. Picture is of actual magazine to be sent. 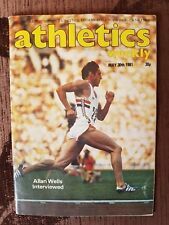 ATHLETICS WEEKLY Magazine. October 11th 1986. Birmingham Olympic Host City Bid. ATHLETICS WEEKLY. Vol.18 No.46. November 14th 1964. Olympic Contest Result. IMPORTANT NOTE. WE REGRET WE ARE UNABLE. A NEW INVOICE WILL BE RAISED. IN GOOD-VERY GOOD CONDITION FRONT COVER SCANNED JUST ZOOM IN TO SEE THE CONDITION. WE REGRET WE ARE UNABLE. A NEW INVOICE WILL BE RAISED. David Otley Feature. Loft Clearance. Athletics Weekly Magazines x 2. 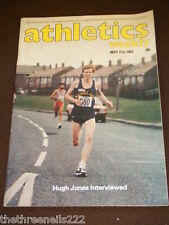 1980 Issues, & Athletics Weekly Supplement 1989.